Step 2 / Divide out a section of hair to frame the face and tuck it out of the way. Step 3 / Next take a small section of hair and near the part line and divide it into three smaller pieces. 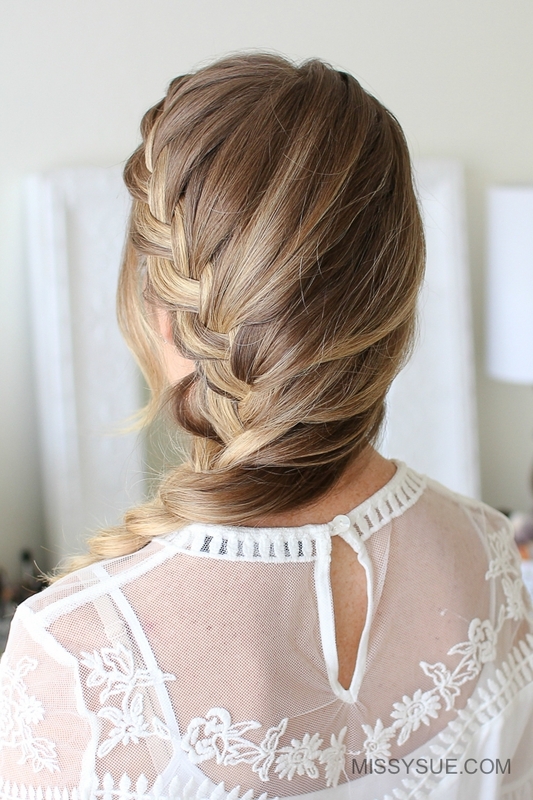 Step 4 / Begin a french braid by crossing the right strand over the middle and then cross the left strand over the middle. Step 5 / Now cross the right strand over the middle then pick up a new section of hair and cross it into the middle strand as well. Step 6 / Then cross the left strand over the middle and add a new section into the braid. Step 7 / Repeat those steps continuing the french braid, adding hair in from along the part line and from along the hairline. Step 8 / As the braid continues and reaches the top of the head, begin bringing in sections of hair towards the right side so it sweeps around the back of the head, into the braid. Step 9 / When all of the hair is brought in, continue the braid a little further down and then pull on the edges to make it bigger. Step 10 / Tie off the end of the braid with a clear elastic band. Step 12 / Divide out a small section of hair and wrap it around the elastic band and then tie another elastic band underneath the wrapped section to secure the wrapped section. 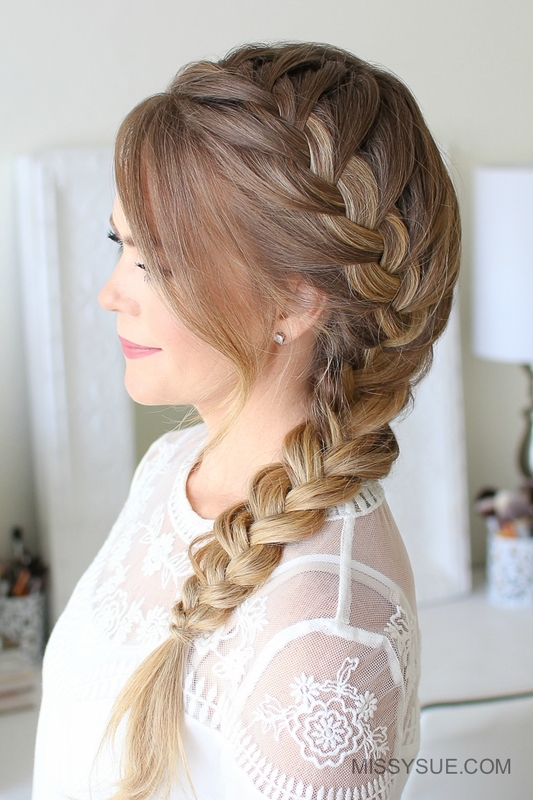 I always wanted to know how to do these braids since I was a little girl. So when I saw this and picked out the braids I love the best, it took me a little bit to learn them, but now I know how to do it, and I’m working on learning more…Thank You Soooo…Very Much 💕 for making these tutorials!! !